On the Scheldt bend, on the spot where the Scheldt leaves the city behind, you will find an oasis of peace. No fata morgana, but a hip pop-up summer bar with a Bohemian look & feel: Jardim. From Thursday 18 April you can enjoy delicious cocktails, tapas and the most beautiful sunset. From the roof terrace of Jardim, the 'stAckterrace', you have the best view of the Scheldt bend and the setting sun that sinks into the river. 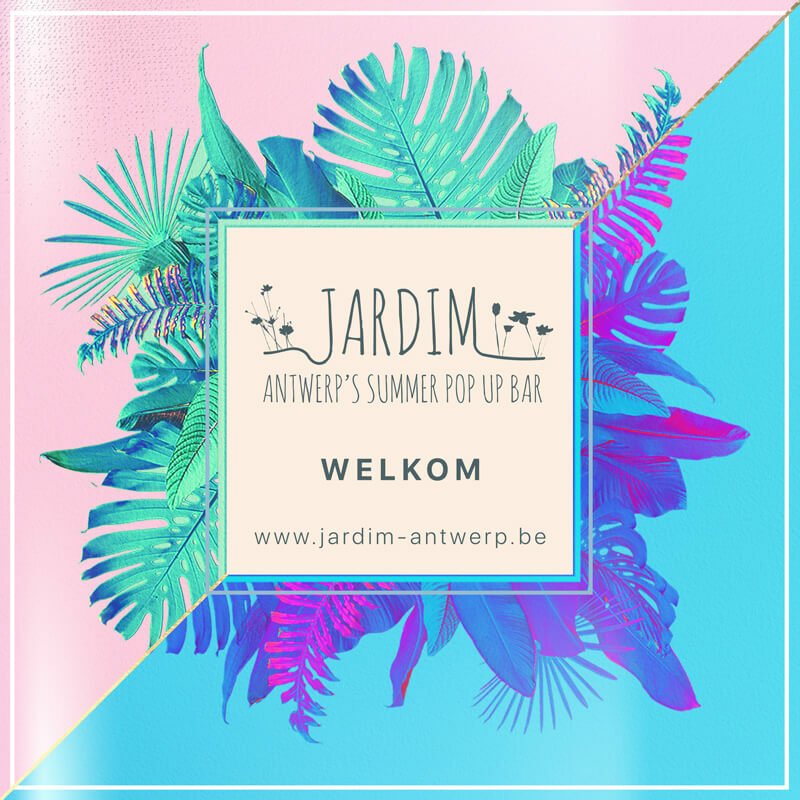 During the day, look for the cool shade under the organic tent, count the stars falling in the evening and stare at the lights of the Scheldt endlessly ... Jardim is an urban Bohemian garden where you can fully relax with your feet in the sand and your head in the grass . During the summer months the pop-up is the ideal place to escape the city bustle. Jardim regularly organizes fun events and great parties. The trendy Antwerp club Vaag provides music all summer long. Every day that Jardim is open, there will be a food truck where you can try all sorts of dishes to your heart's content.